Cascading safety light curtains provide the user the ability to connect additional sets of light curtains by daisy chaining multiple emitters and receivers together rated Nema IV (IP 65). The cascading of safety light curtains provides multiple areas of guarding in any plane (X, Y, Z), while utilizing the control reliable dual safety outputs (PNP) from the Category 4 safety device for the safety outputs to the machine control. The ability to guard multiple areas on irregular shaped machines by cascading safety light curtains reduces wiring and provides a lower cost yet effective machine guarding solution. 24VDC input powered unit. 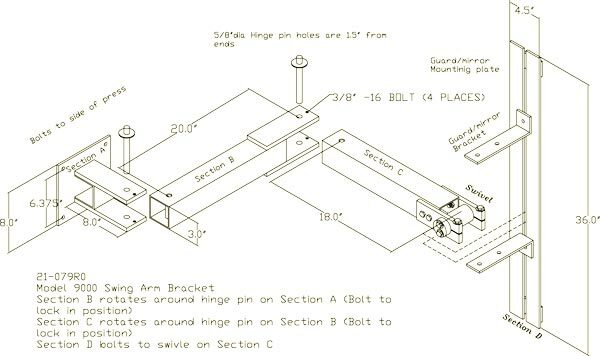 Mounting brackets and connecting cables are supplied standard. Type 4 / Category 4. Made in USA. Cascading safety light curtains provide the user the ability to connect additional sets of light curtains by daisy chaining multiple emitters and receivers together. The interconnecting cables are factory supplied and the user defines length. The cascading of safety light curtains provides multiple areas of guarding in any plane (X, Y, Z), while utilizing the control reliable dual safety outputs from the Category 4 safety device for the safety outputs to the machine control. The ability to guard multiple areas on irregular shaped machines by cascading safety light curtains reduces wiring and provides a lower cost yet effective machine guarding solution. The Model CA Cascading Safety Light Curtain is an infrared safety light curtain that is designed to the IEC 61496 standard. When properly installed, it protects the machine operator by passing an invisible infrared light beam across an area to be guarded and examining whether or not the light beam(s) are blocked. If the light beam(s) are blocked, monitored solid state outputs will open, issuing a “STOP” command to the machines normally closed (N.C.) “STOP” circuit. The Model CA Cascading safety light curtains system is composed of transmitting units (EMITTERS), and receiving unit (RECEIVERS). The entire system is control reliable Category 4 (per IEC 61496). A single fault anywhere within the Model CA will not prevent at least one of the solid state outputs from opening up, (allowing a “STOP” command) when either a beam is broken or an internal fault occurs. The Model CA Cascading Safety Light Curtain protects an area by projecting a curtain of infrared light. The infrared emitters and receivers face each other across the field to be protected. Each LED pair is spaced along the length of the pylons at regular intervals from .5” (12mm), up to 8” (203mm) depending on the application. The smaller spacing are for finger guarding, the larger spacing are for body protection. The emitter/receiver pairs are scanned sequentially (one at a time) by a very short pulse of infrared light starting from bottom (cable end), and working up to the end, until every beam pair has been scanned. Two 16 bit computers in the first emitter pylon and two 16 bit computers in the first receiver pylon control the operation, as well as cross check each pylon. The Model CA Cascading Safety Light Curtains employ infrared technology in a small sealed NEMA 4 (IP 67) aluminum housing with an infrared passing (daylight filtering) acrylic lens. This system provides harmless invisible protection and an unobstructed view of the guarded area. 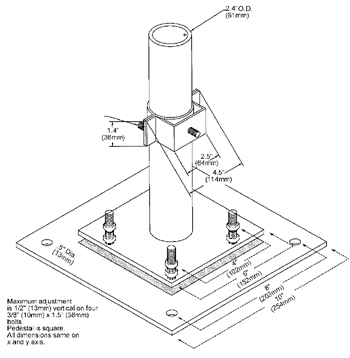 There are two parts to the Model CA: An Emitter pylon and a Receiver pylon. The Emitter pylon has no outputs. The Receiver pylon contains two monitored solid state 24vdc outputs. Both pylon sets are synchronized to each other electronically as they are connected together with the interconnect cables to the top and bottom of the next set of pylons. The Model CA Cascading Safety Light Curtains incorporates redundant, and diverse technology that provides a backup for every system that could cause an unsafe condition. A method in which the Model CA Category 4 cascading safety light curtains logic monitors the state of various external control devices. The control devices are external and not part of the Model CA light curtain pylons. A lockout or stop signal will result if an unsafe state is detected in an external device. The External Device Monitoring (EDM) is an optional function of the Model CA safety light curtain for monitoring the status of external devices such as gate and door switches, safety switches or the main control element of the drive (MPCE). Solid state outputs are turned on separately to be checked and to assure neither output has been shorted, before fully turning on. Watchdogs on CPU’s and outputs prevent unintentional output during lockups. The optional Remote Status Display (RSD) may be used in conjunction with the Model CA Cascading Safety Light Curtains. The RSD provides the machine operator and front line supervisor immediate system status and diagnostics when the Model CA is mounted inside the machine control panel. The RSD also controls all blanking options directly from the panel location where it is installed. The advanced “Auto Blank” option is unique because it will automatically blank out only the required number of beams needed to accept an obstruction such as a conveyor, bracket, or fixture. The unit is easily programmed by a supervisory controlled four-position keyed selector switch located on the front panel of the RSD Display. The “Auto Blank” method of blanking is much safer than DIP switch or master/slave blanking systems because only the areas of the obstruction will be blanked. This feature prohibits unsafe oversizing of the blanked area commonly found throughout the industry on manually blanked systems. 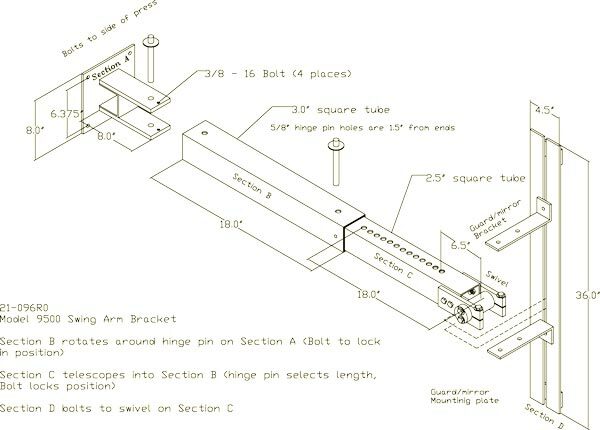 “Auto Blank” also eliminates the need to count beams and to locate where and what beams are to be shut off to obtain the correct beam elevation to accept an obstruction. This information is displayed on the message display of the controller. “Auto Blank” will also watch the obstruction and, if it moves or is removed, will go into a “machine stop mode” to prevent further machine operation. This is an additional safety feature not available on manually blanked units. These features truly enhance production while providing the ultimate in safety. When the key switch is turned to the “Auto Blank” function, the “External Diagnostic Message Display” will show the number of blocked beams and where the obstruction is in the light curtain, then verify that the obstruction is being monitored. 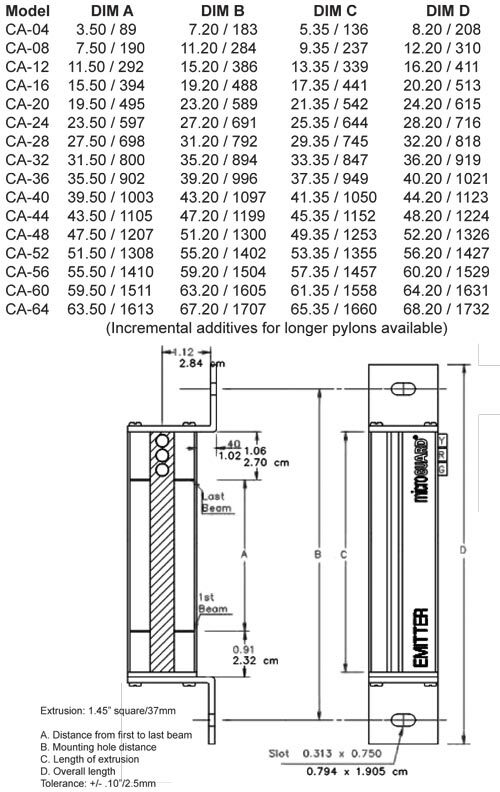 This is required information for the depth penetration factor and for proper installation of any safety light curtain. Learned Auto Blank patterns for the Model CA are stored in non-volatile memory for automatic recall at power-up. Allows customer selectable Manual or Auto Reset. Fits in a smaller space than two 52-278 safety relays. –Basic device to EN 60204-1:2005 and EN ISO 13849:2007 for single or dual E-stop monitoring. –Processing of signals from output switching devices (OSSD) of light curtains acc. EN 61496-1.
inputs are opened/de-excited the enabling current paths will open. • Outputs: Receiver pylon: monitored, 2 outputs, solid state PNP (.5A maximum each output) (24vdc when GREEN, float when RED/off). Max .25A draw each. • Indicators: Emitter pylon: Yellow, Red, Green. Receiver pylon: Yellow, Red, Green. • Construction: Painted aluminum extrusion with Acrylic IR lens and Viton Seals providing NEMA 14 (IP 65) protection. 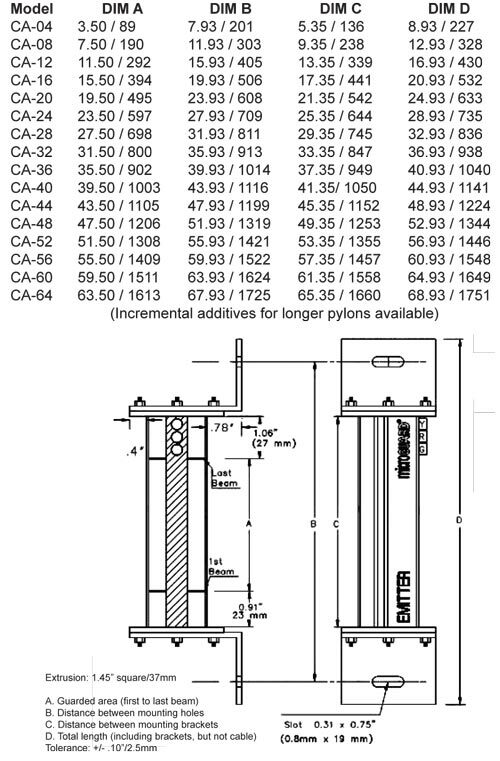 Optional Polycarbonate tubes (sleeves) over the pylons provides NEMA 4 (IP 65) protection. • Safety Software: 0 to 50c tested to UL1998 and ISO 9001 standards. 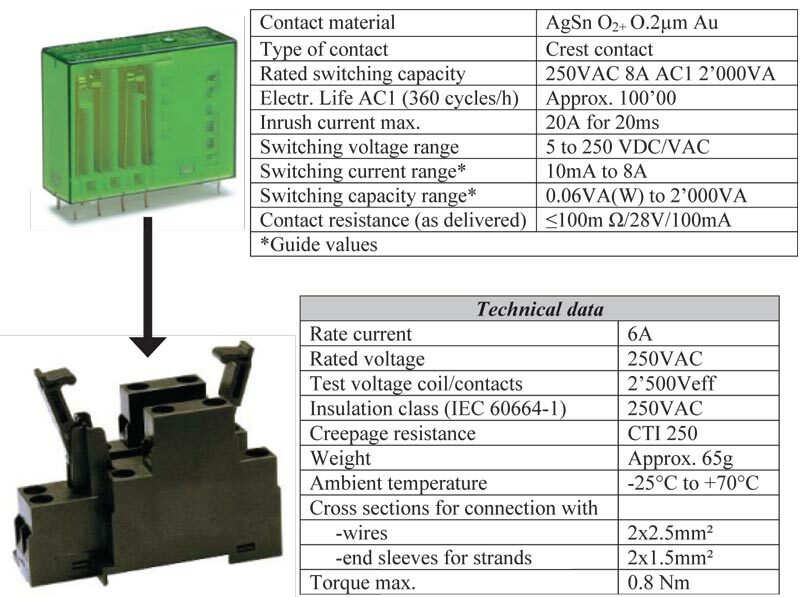 • EMC Testing to IEC 61000-4 standards. • Specials: Custom designed light curtains for special applications. Consult factory. Model CA Output Circuits must be used with either “Control Reliable” PLC Safety Input Circuits or a Safety Relay Module. 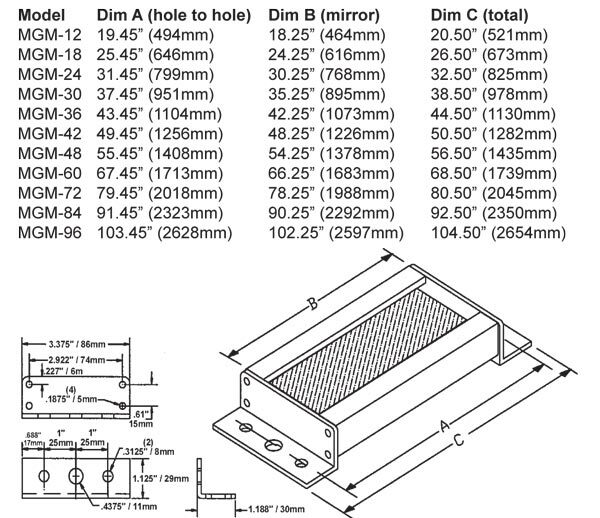 1F – 1 beam floating blank built-in. 8K – Up to 3 beam floating blank adjustable by the use of a supervisory keyswitch removable in all positions. Capable of constant scan or one, two or three floating beams. If modifications are needed, please consult factory. 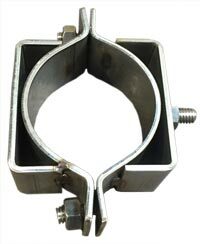 SMB – Swivel Mounting Brackets for Pylons: Replaces the fixed mounting brackets normally supplied. Provides a 360° rotation of pylons. PT – Polycarbonate tube which will encase the pylons for high impact protection. 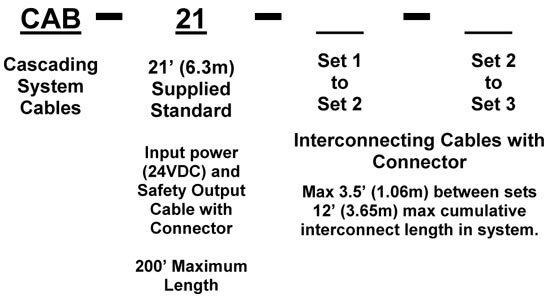 Please note that both the Pylons and Cables part numbers must be submitted to complete the order. Pylons can be hard wired together with no connectors if required (consult factory). Maximum of 128 beams per system (cumulative). Consult factory for larger beam systems or additional segments if needed. Through the use of cornering mirrors, multiple sides or work envelopes can be guarded which enhance safety and reduce downtime related to mechanical and electrical interlock systems. Include a 15% reflectivity loss per mirror when calculating the total scanning distance of the light curtain. The heavy duty, all welded steel pedestal floor mounts can be used for mounting either light curtain pylons or cornering mirrors. Sliding mounts on the pedestal are of universal design and are supplied standard. Unique floating base on pedestal is designed to compensate for uneven floors. NOTE: Pedestals must be bolted to the floor, they must not be movable (ANSI B11.19-2010). Excellent method of mounting the light guard for press brakes or when the light guard is to be moved for die setups or machine maintenance. Model 9000 consists of three 180-pivot points along with light guard diagonal movement capability for virtually unlimited light guard positioning. 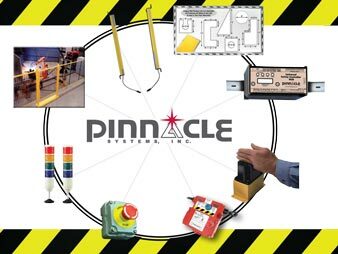 Two-inch square tubing 3/16” thick painted OSHA yellow which mounts directly onto the machine housing and makes for a heavy duty yet versatile mounting bracket. Model 9500 consists of two 180-pivot points and one adjustable length arm. Polycarbonate Tube: Optional Polycarbonate tube which will encase the pylons for high impact protection.